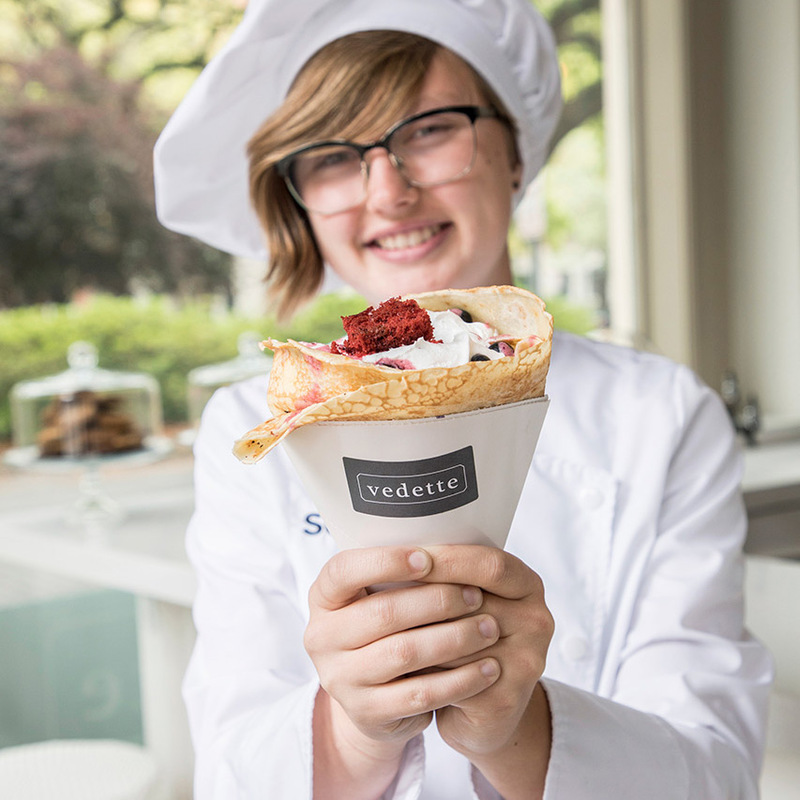 Today's hours: 9 a.m to 3 p.m.
Monday - Saturday 9 a.m to 3 p.m.
Vedette is an authentic Parisian crêperie from SCAD. Enjoy freshly made sweet and savory delights, sandwiches, smoothies, coffee, tea and espresso. Located in the lobby of the magnificent Lucas Theatre for the Arts, Vedette transforms the ordinary snack bar into a stylish culinary destination, welcoming guests whether or not they are attending an event. 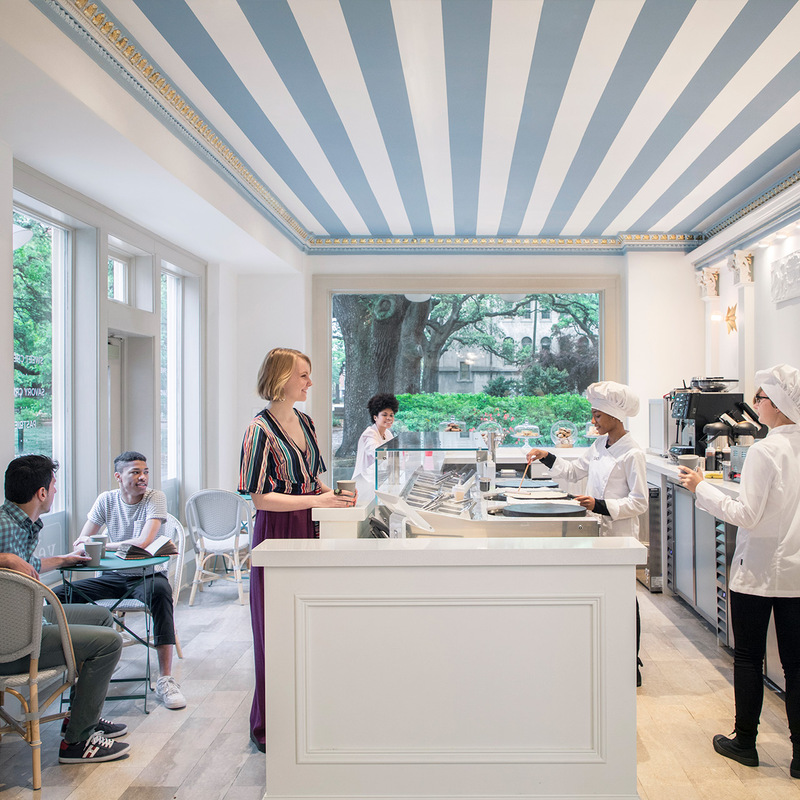 The café draws its name from the French word for film star, a reflection of the theater and a nod to the SCAD campus in Lacoste. Today's hours: 7:30 a.m to 6 p.m.
Today's hours: 7:30 a.m to 8 p.m.
Today's hours: 10 a.m to 8 p.m.